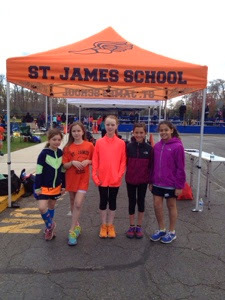 St. James School Cross Country & Track Team: UC Invitational Results are Posted! UC Invitational Results are Posted! Congrats to all our runners from this past Sunday's meet! It was fantastic to see how much everyone has progressed. The results have been posted, and we have medals for anyone finishing in the top 6!